On November 15, 2017, police stormed into a student reading group at the Guangdong University of Technology and seized six young participants. 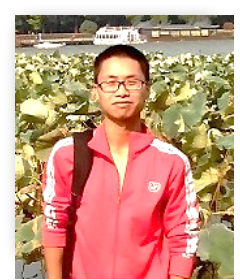 Two of them, Zhang Yunfan and Ye Jianke, were held at the Panyu Detention Center for a month as suspects for the crime of “gathering crowds to disrupt social order,” along with two other young people involved with the reading group who were later seized at their residences: Sun Tingting and Zheng Yongming. After prominent intellectuals circulated a petition for Zhang’s release, all four detainees have been released on bail but are still awaiting trial. Four other young leftists connected to the reading group are on a wanted list and still in hiding. From left to right: Zhang, Sun and Zheng. Chinese readers may also read this letter just released by one of the four people in hiding, Huang Liping: 我是否有罪，人民自有公论！(“The people will decide whether I’m guilty”). Also see dozens of related commentaries here. Left 21 has announced a demonstration to take place in Hong Kong today. After Zhang Yunfan and Sun Tingting spoke out, I, as the so-called “mastermind” behind the reading group, am determined to stick with them through thick and thin. In 1994, I was born in a remote village – one of the poorest of the nation – located in Ganzhou Prefectur, Jiangxi Province. I visited the county seat for the first time only after my acceptance to a high school there. The first time rode a train was when I was accepted into university. My parents are impoverished peasants. My older sister dropped out of school to work in a sweatshop. When farmland was decollectivized, my household received only two or three mu of land [less than half an acre]. To raise their three children, my parents planted fruit trees on the hillside. If the trees got sick and died, our livelihood would be in jeopardy for the whole next year. Throughout southern Jiangxi, village walls are plastered with placards warning farmers to beware of citrus greening disease. Although the disease doesn’t kill people directly, when it infects trees, entire villages are devastated. My parents always told me that schooling could change the future not only for myself but for our entire family, whose livelihood was dictated by the whims of nature. Although I didn’t understand them completely at the time, I wanted to do something for my hardworking parents. My daily life was all about studying and helping out around the house. I vividly remember how sore my hands were when I had to write after cutting the firewood. When I got into secondary school, I didn’t know how to do the mathematics. My primary school teacher apologized to me for not being able to explain it properly. 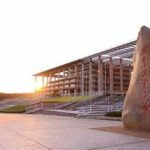 I eventually went to Nanjing Agricultural University to study animal science—specifically, the reproduction and breeding of pigs. Please don’t laugh. Only this major admitted students with some flexibility. Being away from home, I could not help out with the housework when I was in university, which made me feel empty inside. I participated in many volunteer activities, including teaching poor children. When I was working as a volunteer teacher, I met a girl who dropped out of school after her first year in middle school. I tried to convince her parents to let her continue her education. Her father said they were poor and, with two younger sons, they could not afford paying for education for all three of them. Wasn’t this exactly what happened to my sister and me? Our shared fate and cycle of suffering motivated me to take some form of action. I kept searching for an answer in books. When I read Will the Boat Sink the Water? 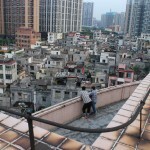 The Life of China’s Peasants, I was reminded of my stooped and exhausted parents. When I read I am a Drifting Flower, I was reminded of my sister spending her youth on assembly lines. It was not until my encounter with the novels There and Asking the Boundless [by Cao Zhenglu] that I finally got to know Mao Zedong. I’d rather follow the Mao that led workers and peasants to towards self-emancipation, rather than the Mao printed on banknotes. Theory and praxis turned me into convinced Marxist. Reading groups and volunteer activities have spared my life of the monotony caused by poverty. When graduation was approaching, my classmates were worried about their future. But I was quite calm. There was nothing to be sentimental about. For me, a good life was about being self-sufficient, being good to my parents, and continuing to help workers and peasants like them. After graduating from university, I was hired by a company in Guangzhou. I decided to find some comrades in this new place. I imitated what the young Mao Zedong did, I posted “seeking friends” flyers in Guangdong Industrial University: integrate theory and practice, empower the disadvantaged, give depth to our youth! I got to know more young idealists. Together we studied classic texts, discussed social issues and served the downtrodden. Before Tingting came to work in Panyu, I used to lead the aunties [middle-aged women from the neighborhood] to dance in public squares. I danced so badly, but that’s all the aunties wanted to do! “Ah-Ming! Come on, Ah-Ming!” Now I can no longer hear them call to me. On the evening of November 15, we were discussing social problems and development over the past few decades. 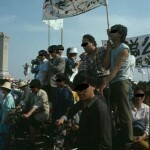 As Yunfan said, we did mention the incident that took place 29 years ago. To our surprise, campus security guards stormed into the room, demanding that everyone present their national and university ID cards. I was let go after a guard took a photo of my ID, but Yunfan and Ye Jianke did not have the documents with them and so were forced to stay behind. Only later did I learn that both Yunfan and Ye Jianke were put under detention as suspects for the crime of “gathering crowds to disrupt social order.” Shortly after learning this, I was arrested as well. On December 5, six or seven police kicked open the door of my apartment and immediately pushed me against the bed, as if I were a dangerous thug in a gangster movie. I was interrogated for eight consecutive hours in the Xiaoguwei police station. They seemed to believe there was some kind of powerful force (势力) behind our reading group. But what kind of force could there be? At first it was just the penniless me and a friend-seeking post on the internet. With the zeal and effort of a few people, we were finally joined by a dozen enthusiastic young people and a group of lovely aunties who helped out with the logistics. Officers from Xiaoguwei Police Station said I was the culprit – the “mastermind” behind some sort of conspiracy! And indeed I was – promoting Maoism and working for the sake of the downtrodden were of course what I “premeditated,” or even “plotted over an extended period of time.” I was born to walk this “radical” path, and I’d rather die than repent. These charges and accusations are eye-opening: The existence of a reading group is tantamount to “gathering crowds to disrupt social order.” Reading group meetings require division of labor, which is regarded as “conspiracy.” Since I was the first one to publish the friend-seeking post, I was naturally the “mastermind” behind the operation. Zhang Yunfan is a graduate from Peking University, so he must be “mainly responsible” for the plot. Sun Tingting is a girl and looks vulnerable, so she can be “simply” thrown in jail! Sun Tingting accurately described the difficult days in the detention center. I cannot identify any trace of the spirit of “the people’s police serving the people” in the deeds of the Xiaoguwei Police Station – or perhaps, for the unforgivable crime we committed, we no longer qualify as members of the people! So ridiculous were the charges that I chose to stay silent in the following interrogations, that’s why they labelled me as “remorseless.” They tried to trick me by claiming that this “remorselessness” is what got my friends arrested. (Later I learned that wasn’t true.) Since I was the culprit, they said, I shouldn’t drag other people into this, they had their jobs and lives to attend to. So then I thought, maybe I should just shoulder the burden for everyone. Finally I capitulated an wrote my “confession” by following the sample script they gave me. It was only after my release that I learned they didn’t spare the others. Four young leftists — Gu Jiayue, Xu Zhongliang, Huang Liping and Han Peng — are still being pursued! I was greatly moved by the open letters of Zhang Yunfan and Sun Tingting, as well as by the good citizens’ petition defending us. I was happy to see that Tingting has received so much concern and attention on Weibo. But last night I noticed that the attitude of visitors’ posts on Tingting’s Weibo has changed. Multiple Weibo accounts sharing a similar voice suddenly emerged around the same time and occupied the top spots of her comment section. Does it mean Tingting that “deserves the punishment”? If there really were “foreign powers” or “overseas labor unions” backing us somehow, the Xiaoguwei police would have already raised a big stink about this, and I would probably have never been released. 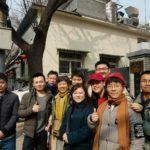 In fact, the police repeatedly asked me questions about money—“who gave you money?”—but they quickly discovered that the reading group’s expenses amounted to only a few hundred yuan for printing. I’m quite poor, and no amount of searching could uncover any evidence to support the allegation that I received financial support from anyone. Regarding what we have discussed, Yunfan has already made it clear that we read books that can be borrowed from the library. The police have confiscated everything related to the reading group, so how can show the public what we read? There is another ridiculous line of reasoning in these comments: We should we be “responsible” for comments that are “too radical,” so we should be interrogated for eight consecutive hours, forced to sleep on the floor, lose our jobs, and such terrible treatment should be inflicted on Tingting. Such superficially “rational and objective” argumentation is actually is a low as dirt and as twisted as maggots. For these people, anyone working for ideals is really just in it for the money, and anyone who voices an opinion for the sake of justice must have been manipulated. Surely the people leaving such comments are just paid trolls. But who pays them? 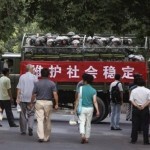 Who up to this date have failed to answer the questions asked by the masses, and what Yunfan and Tingting have exposed? If the law is on the people’s side and we “deserve our punishment,” then why are you deleting our posts to force us to stop talking? Good people, we don’t ask for unconditional trust, we just hope you follow the voice of your own conscience. We hope you just open your eyes and see. Together with Yunfan, I will battle the coming storm. I will also help Tingting to reclaim her dignity! I will not be silent until to safety of Gu Jiayue, Xu Zhongliang, Huang Liping and Han Peng is ensured! Since I was born the son of workers and peasants, I will always be the son of the workers and peasants! My ideal life is to continue supporting the workers and peasants, who are just like my parents. In Sun Tingting’s account, not only campus security but also police came and took six participants into custody, the next day releasing four and transferring two into criminal detention. In Zheng Yongming’s account translated here, it was only campus security guards who stormed into the reading group, and only the two participants were taken into custody. I.e. the mass movement of 1989 that ended with the June 4th Incident on Tian’anmen Square. I am very moved by the courage of yourself, Chuang and Sun, especially in sharing your experiences. Your friends and families must be very concerned for you, but they must be proud to know such brave and inspirational young people. You have expressed yourselves wonderfully and there is beauty in your idealism and concern for others. I agree Mao should be more than just a picture on a bank note where there is continuing exploitation. The Chinese authorities should encourage selfless and intelligent people who care for others. Otherwise, how does the system differ from other political systems that encourage people to mindlessly pursue individual gain to the cost of those less fortunate? In the circumstances, it must take courage to disseminate this information and for people within China to express their support. I hope that you will be able to continue to post updates as I am very concerned for you, your families, and others who are suffering, such as Gu Jiayue, Xu Zhongliang, Huang Liping and Han Peng. You are all very much in my thoughts.